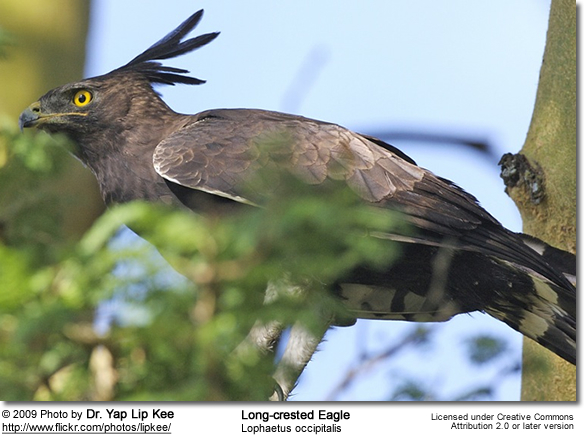 The Long-crested Eagle (Lophaetus occipitalis) is a medium-sized bird of prey found in Africa south of the Sahara, except in the arid zones. 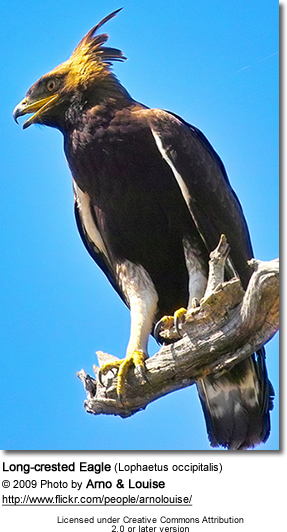 In southern Africa it is a fairly common resident in the eastern areas. It inhabits woodlands, exotic plantations, forest edges and mainly lives off rodents and shrews.